Always pushing the musical envelope and not content to stay with the same old thing, Grammy-winning guitarist Bill Frisell comes to Yoshi's San Francisco with his trio featuring Joey Baron and Tony Scherr. Frisell is one of the most sought-after guitar voices in contemporary music, and his role as composer and band leader has garnered him increasing notoriety. He won a 2005 Grammy for his CD, Unspeakable, and his recording, East/West, was partially recorded live at Yoshi's. The breadth of his performing and recording situations is a testament not only to his singular guitar conception, but his musical versatility as well. Much has been made of the qualities of Frisell's music that defy categorization and the seamlessness with which his bands have navigated such a variety of styles. Born in Baltimore, Bill Frisell played clarinet throughout his childhood in Denver, Colorado. His interest in guitar began with his exposure to pop music on the radio. Soon, the Chicago Blues became a passion through the work of Otis Rush, B.B. King, Paul Butterfield and Buddy Guy. In high school, he played in bands covering pop and soul classics, James Brown and other dance material. Later, Bill studied music at the University of Northern Colorado before attending Berklee College of Music in Boston where he studied with John Damian, Herb Pomeroy and Michael Gibbs. In 1978, Frisell moved for a year to Belgium where he concentrated on writing music. In this period, he toured with Michael Gibbs and first recorded with German bassist Eberhard Weber. Bill moved to the New York City area in 1979 and stayed until 1989. He now lives in Seattle. "When I was 16, I was listening to a lot of surfing music, a lot of English rock. Then I saw Wes Montgomery and somehow that kind of turned me around. Later, Jim Hall made a big impression on me and I took some lessons with him. I suppose I play the kind of harmonic things Jim would play but with a sound that comes from Jimi Hendrix", Frisell told Wire. Bill also lists Paul Motian, Thelonious Monk, Aaron Copland, Bob Dylan, Miles Davis and his teacher, Dale Bruning, as musical influences. Frisell's third album and last for ECM, Lookout For Hope, marked the recording debut of The Bill Frisell Band featuring Hank Roberts, Kermit Driscoll and Joey Baron. Produced by Lee Townsend, the album's diverse material - ranging from country swing to reggae, quasi-heavy metal and backbeat rock with a twist to Monk's "Hackensack" - nevertheless possessed the cohesive and unmistakable personality of a working band on to a sound of its own. Frisell's second Nonesuch album, Is That You?, features nine original Frisell compositions, one by producer Wayne Horvitz and two cover tunes - "Chain of Fools" and "Days of Wine and Roses". With Frisell playing guitars, bass, banjo, ukulele and even clarinet, Is That You? demonstrated with great clarity his pan-stylistic, yet strangely unified musical world. Frisell's third album for Nonesuch, Where in the World?, also produced by Wayne Horvitz, was the band's final recording with cellist Hank Roberts. Have a Little Faith, Frisell's 1992 Nonesuch recording, was something of a tribute album. Here, he interpreted the music of a number of American composers whose music had inspired him - Aaron Copland, Muddy Waters, Bob Dylan, John Hiatt, Sonny Rollins, Stephen Foster, Charles Ives, Victor Young, Madonna and John Philip Sousa. The extent to which Bill has made this music his own demonstrates the completeness of its link to his own compositional approach. For this recording Frisell's Band was augmented by Don Byron (clarinet, bass clarinet) and Guy Klusevsek (accordion) and produced by Wayne Horvitz. In 1994, Frisell recorded a pair of recordings of music that he composed for three silent Buster Keaton films - The High Sign, One Week and Go West. The band premiered this music along with the films to a spirited and sold-out audience at St. Ann's in Brooklyn in May '93. The pairing displayed a natural affinity between work of both artists. Their works together possess an undeniable sense of adventure and penchant for the unexpected that only enhances the warmth and humanity of both the musical elements and the films themselves. It has proven to be the rare case where the whole truly transcends the sum of its parts. Of the "Go West" recording , Billboard noted: "With this set of music for the classic Buster Keaton film, "Go West," Bill Frisell has crafted one of his finest, most evocative albums. Evincing his best qualities as both guitarist and composer, he harvests melancholy Americana from deceptively modest, episodic themes. Coloring the scenes with acoustic as well as his trademark electric, Frisell produces strangely cinematic motifs on guitar, and his rhythm cohorts - longtime bassist Kermit Driscoll and drummer Joey Baron - provide abundant narrative drive." Both albums were produced by Lee Townsend. Frisell's success with the Keaton films has led him to other film-related projects. He scored the music for Gary Larson's "Tales From the Far Side" animated television special and Daniele Luchetti's Italian feature film, "La Scuola." Some of the music from these projects has been adapted and recorded by Frisell on Quartet, Frisell's Nonesuch recording released in April '96. The formation of the Quartet, with Ron Miles (trumpet), Eyvind Kang (violin) and Curtis Fowlkes (trombone), was a new working band for Frisell, who had worked with the telepathic rhythm combination of Kermit Driscoll and Joey Baron for nearly ten years. Frisell told Down Beat: “It’s so different from the traditional guitar-bass-drum thing, even though Joey Baron, Kermit Driscoll and I never played like a typical jazz trio. This group, with violin and brass, can play an orchestral range of sounds. It’s gigantic. It’s given me a chance to write and arrange in an even bigger way.” Quartet, was quickly hailed by critics. Nonesuch released Nashville in April of 1997. Recorded in Nashville and produced by Wayne Horvitz with members of Allison Krauss’ Union Station band - mandolin player Adam Steffey and banjo player Ron Block - the project also features her brother and Lyle Lovett’s bass player Viktor Krauss, dobro great Jerry Douglas, vocalist Robin Holcomb and Pat Bergeson on harmonica. “Comprising acoustic instrumental folk tunes with unpredictable stylistic accents, Nashville boasts a dreamy, seductive grandeur. The backing mandolin/dobro/bass interplay simmers…Frisell himself picks and strings and most of all floats, laying out liquid tones that settle over the melodies like heat haze on a swampy, swimmerless lake.” wrote the LA Weekly. Good Dog, Happy Man, brims full of Frisell's shimmering original compositions. Here he is reunited with the Gone Just Like a Train rhythm section of Viktor Krauss on bass and Jim Keltner on drums and joined by Wayne Horvitz on Hammond B3 organ, multi-instrumentalist/slide guitarist Greg Leisz (known for his work with Joni Mitchell, K.D. Lang, Emmy Lou Harris, Beck and Jimmie Dale Gilmore, among others) plus special guest Ry Cooder on the traditional folk song "Shenendoah". Produced by Lee Townsend, Good Dog, Happy Man celebrates Frisell's emergence as a composer who has created a genre unto himself. Bill’s solo album, Ghost Town was called described as “moody, articulate music is a milestone in the career of a true innovator – enchanting as anything he has done and a clear window into his muse” (CMJ). With producer Lee Townsend, Frisell has created a sonic tapestry that weaves in and out of original material and cover songs, some recorded in multiple layers, others recorded nakedly solo. According to Billboard, “Ghost Town sounds like a classic already”. For Frisell's acclaimed CD Blues Dream, released on Nonesuch in early 2001, the New Quartet of Greg Leisz, David Piltch and Kenny Wollesen is joined by a horn section of Ron Miles (trumpet), Billy Drewes (alto saxophone) and Curtis Fowlkes (trombone). In many ways it represents a culmination of the strands running through many of the recordings in Frisell's catalogue, combining the homespun lyricism of Good Dog, Happy Man, Gone Just Like a Train and Nashville with the orchestral timbres of Quartet and the expanded tonal palette and harmonic sophistication afforded by a larger group (i.e. The Sweetest Punch, This Land and Before We Were Born.) Produced by Lee Townsend, it has been described as "A rich, eclectic masterpiece." (Blair Jackson, Mix Magazine). 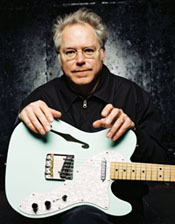 The Autumn of 2001 saw the Nonesuch release of Bill Frisell with Dave Holland and Elvin Jones, on which Bill was joined by two jazz legends to interpret a number of the most enduring compositions from his songbook as well as Henry Manicini’s “Moon River” and Stephen Foster’s “Hard Times” in another Townsend-produced set. Frisell’s encounters with such Malian musicians as singer and guitarist Boubacar Traore and percussionist Sidiki Camara, who has played with many of Mali’s most renowned performers, left him eager to further explore the commonalities of African and American roots musics. His grammy-nominated 2003 Nonesuch release, The Intercontinentals, produced by Lee Townsend, is evidence of those impulses. In late 2001, Frisell assembled an intriguing quartet with Brazilian composer, singer, guitarist and percussionist Vinicius Cantuária, Greek-Macedonian musician Christos Govetas on oud, bouzouki and vocals and Mali’s Camara on percussion and vocals. The debut concerts at Seattle's Earshot Festival created quite a stir. Downbeat described the group's music as possessing "fine webs of guitar interlacings, swaying momentum, dense textures and rhythmic urgency." The group was soon expanded to include Greg Leisz (on pedal steel and various slide guitars) and Jenny Scheinman (violin). The material on the album consists of Frisell compositions plus songs by Boubacar Traore, Cantuaria, Gilberto Gil and Govetas. It is an album that combines Frisell’s own brand of American roots music and his unmistakable improvisational style with the influences of Brazilian, Greek and Malian sounds. Frisell’s 2003 recording with Petra Haden, the self-titled Petra Haden and Bill Frisell, is a collection of their interpretations – some sparsely arranged and others more lushly orchestrated - of songs by Elliot Smith, Foo Fighters, Tom Waits, George Gershwin, Henry Mancini, Stevie Wonder, traditional material, as well as songs written by Frisell and Haden. Frisell, who had known and played with Petra’s father Charlie Haden for many years, was captivated when he went to see Petra perform in Seattle. The two began talking, occasionally performing together, and eventually they began work on their CD, produced by Lee Townsend. Frisell’s 2004 Nonesuch release, Unspeakable, featuring his long-time rhythm section of Tony Scherr and Kenny Wollesen as well as percussionist Don Alias, horn arrangements by Steven Bernstein, and Frisell’s string writing for the 858 strings of Jenny Scheinman, Eyvind Kang and Hank Roberts is “a revisiting of an old friendship that stretches back 20 years: a partnership with producer Hal Willner. Taking fragments of obscure vinyl records as a launching point, the duo traverses a landscape that passes, in an almost hallucinatory way, through myriad styles.” – Billboard. The Observer describes it this way: “The brilliant 53-year old guitarist embraces a jazzy kind of post-rock whose most immediate point of reference is the electric Miles Davis. It's a multi-textured, multi-hued disc that never sees Frisell sacrifice his impeccable technique, or neglect the deep structure of his songs, but never sees him forget to have fun either." And the Sunday Independent had this to say about it: "'Unspeakable' radiates the kind of authority that only absolute confidence in the primacy of melody and feel in music can confer." Unspeakable won a Grammy award in 2005 for Best Contemporary Jazz recording. In September 1998 Nonesuch released a duo recording of jazz standards by Frisell and labelmate pianist Fred Hersch entitled Songs We Know. Downbeat's 1998 Critic's poll awarded Bill's Nashville "Album Of The Year," and Bill himself, "Guitarist Of The Year" in both 1998 and 1999. His Quartet won the German equivalent of a Grammy, the prestigious Deutsche Schallplatten Preis. Meanwhile, he has been lauded as “Guitarist of the Year” by numerous publications and organizations over the span of many years. In 2002, Frisell was appointed the musical director of "Century of Song” " by artistic director Gerard Mortier and Chief Dramaturg Thomas Woerdehoff for the 2003-2004 seasons at the Ruhr Triennale Arts festival in Germany. The celebrated series of programs featured guest songwriters, interpreters and performers in collaboration with Frisell not only to investigate their own bodies of work, but to bring a fresh perspective to songs and songwriters that have been influential upon their own music, as well. Guests included Elvis Costello, Suzanne Vega, Van Dyke Parks, Loudon Wainwright III, Rickie Lee Jones, Vinicius Cantuaria, Vic Chesnutt, Ron Sexsmith, Jesse Harris, Petra Haden and Marc Ribot with band members being specially selected for each program. With Lee Townsend producing, the concerts took place in former industrial spaces that have been converted into performance venues in the Ruhr region of Northern Germany. Moviegoers will hear Frisell playing alongside Bono, Brian Eno, Jon Hassell and Daniel Lanois on the soundtrack of Wim Wenders' film, Million Dollar Hotel, starring Mel Gibson with a screenplay by Bono. He also composed and recorded original soundtrack music for four recent productions, including American Hollow, an HBO documentary special by Rory Kennedy about an Appalachian family, a public radio program about the human genome called The DNA Files, the music for two Gus Van Sant films - Finding Forrester and the remake of Psycho - and the music for Gary Larson's second animated television project "Tales From The Far Side II." Unspeakable won a 2005 Grammy for Best Contemporary Jazz Album.